Sophy Holland is a British-born Photographer, Director and Creative Director. She studied at Central St. Martins in London and started her career as a painter before transitioning to Art Direction for both editorial and advertising clients in NYC and London. After being selected as the inaugural featured artist on the front label of the '16 release of Ozymandias, Sophy agreed to join the Ozymandias Wines team as a partnering Creative Director and will help select future benefiting artists while collaborating with them on final label designs. Sophy's creative talents are already being showcased, as she designed the Ozymandias Wines logo. For more information about Sophy and her work visit her website. "Before Sophy agreed to join the Ozy team full-time she was chosen to be the first featured artists for Ozymandias Wines. I've always been a fan of Sophy's work, so when I heard she was exploring shooting a documentary film in '16 I knew the timing would be perfect for Ozymandias' planned launch. Thankfully Sophy shared my enthusiasm for being a part of the wine project and welcomed support for her film. I love the way Sophy incorporated the Ozymandias logo into the wine label which represents the premise of her documentary on the patterns and disorders of sleep rhythms. 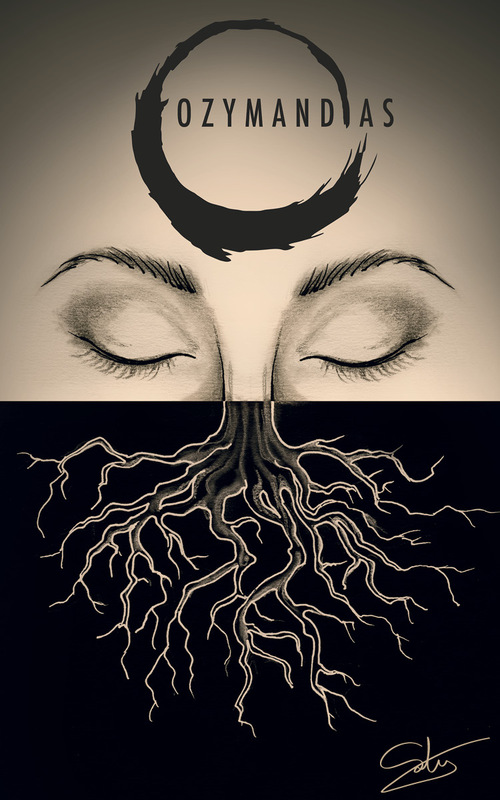 The placement of the logo on the third eye, and the her decision to display grapevine roots (which lurk below the fruits and beautiful vines, but play such a vital role in the taste of wine) on the bottom half of the label, to me are symbolic of the unseen yet vital role sleep plays in all of our lives. Whether that is actually the case, you'll have to ask Sophy. Nonetheless, we are so proud and excited to have Sophy's work featured on our inaugural wine label and are equally excited to see Sophy's film." 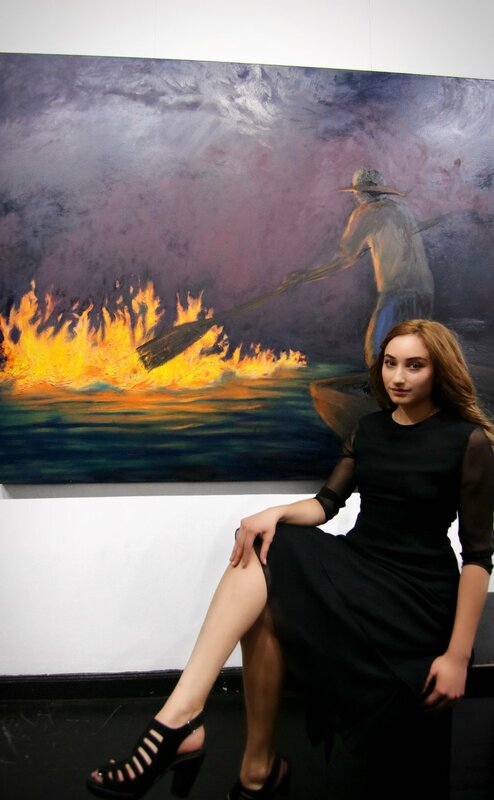 Briana Navarro, Burning River, is Ozymandias Wines' featured artist for 2017. As an artist and environmental activist, Briana intends to raise awareness for the necessity to transform to safe, responsible methods of energy production. Funding from sales of her featured wine will help her make large scale paintings expanding on this theme. Checkout more of fantastic work here. By checking this box I confirm I am at least 21 (twenty-one) years of age.